Hey there, internet. We have some news today, which includes new info from Metal Gear Solid Online, Mad Max, Destiny, Telltale, Just Cause 3, Wolfenstein, and Call of Duty. 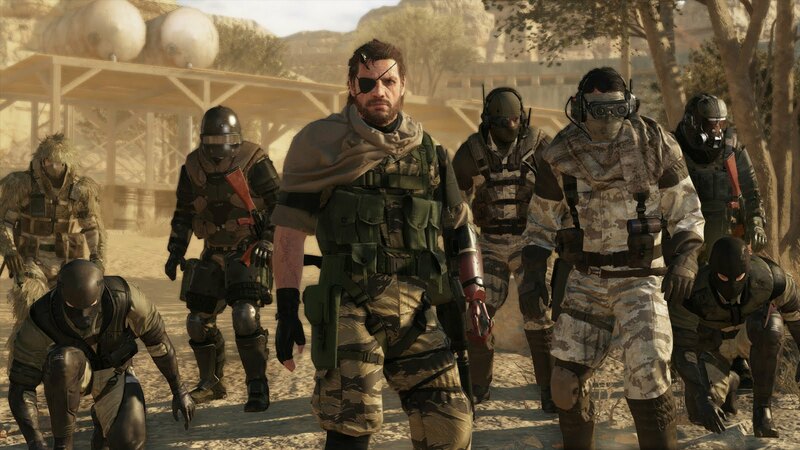 The Phantom Pains’s online component, Metal Gear Solid Online, has been announced that it’ll support up to 16 players on the PS4, Xbox One, and PC, and up to 12 players on PS3 and Xbox 360. The game will be released on Sept 1st on all the 4 consoles, and on Sept 15th on the PC. New upgrade system allows you to upgrade all your existing gear to the new stat thresholds, without erasing the previous progress, and you don’t need to buy the new DLC to do it. You wont need to buy the new DLC to explore the new social hub: Vastian Outpost. You can now reforge weapons through the gunsmith. Previously only able to do so during the Iron Banner event. The speaker can exchange raw materials at a 1:1 ratio. New NPC vendor and two new modes: Prison of Elders and Trials of Osiris. These two are intended as highly replayable end game content. Prison of Elders is PvE and Trials of Osiris is PvP. The new outpost on the Reef has room to expand, like the tower’s social hub. This game has me pretty excited. Reminds me of 3rd Person Rage. Also reveals the Thunderdome. Marvel Comics has partnered with Telltale Games for a future console and PC series coming 2017. No info yet on what the title game will be, but I’m sure more info will be released soon. Square Enix has revealed a new gameplay trailer will arrive on Tuesday, April 28th, so expect more info about that tomorrow, along with the new games of the week, obviously. 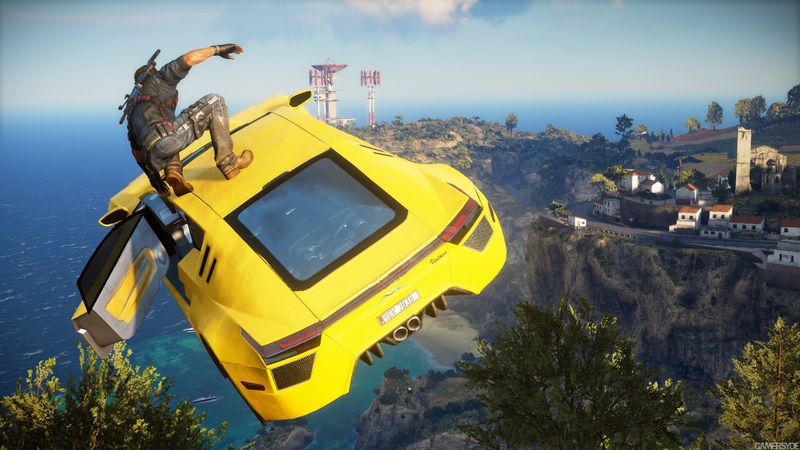 Avalanche Games had also announced that Just Cause 3, releasing later this year during the holiday season for PS4, Xbox One and PC, will not include multiplayer. No-Co-op :(. The Wolfenstein standalone DLC is available for pre-order. The game includes 8 chapters and a handful of new weapons available to B.J. Blazkowicz, The game is available May 5th. New trailer, and a release date: November 6th, 2015. Set to The Rolling Stones’ Paint it Black, the trailer discusses how soldier are becoming less and less human. How far can technology go? Developed by Treyarch, this will be the first COD meant for next-gen only consoles. Pre-ordering grants multiplayer beta access on PC, PS4, and Xbox One. Maybe I should play through Call of Duty Black Ops 2, to get caught up. That’s all for today. Enjoy the videos and get excited. Tomorrow is new games. Wednesday I’ll discuss Far Cry 4 and Assassin Creed Chronicles: China. Thursday I’ll have a review up for Call of Duty Ghosts. This entry was posted in News and tagged Black Ops 3, Call of Duty, Destiny, Games, Gaming, House of Wolves, Just Cause 3, Mad Max, Metal Gear Solid, News, Telltale Games, Video Games, Wolfenstein. Bookmark the permalink.